Hadassah International is proud and moved to learn that Prof. Ahmed Eid, Director of General Surgery at Hadassah Mt. Scopus, was chosen to be one of the twelve people to light a torch at the official Israel Independence Day ceremony in Jerusalem on May 1, 2017. 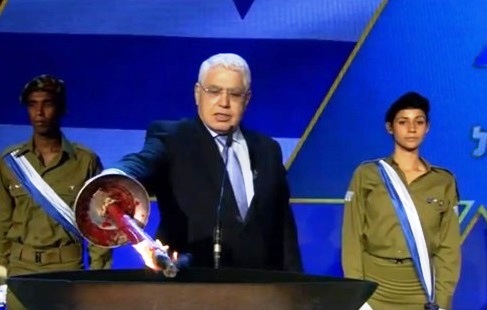 He lit the torch in honor of the Jerusalem doctors who tirelessly work to save lives and improve the quality of life of men, women and children. An Israel Arab from the Galilee, Prof. Eid has saved hundreds of lives of Jews and Arabs, terror victims and others, regardless of religion, national or ethnic backgrounds. He is a symbol of what makes Hadassah Hospitals a bridge for peace.